If you haven't heard, Blake Lively is making headlines and not because of her baby daughter or the fact that she's married to Ryan Reynolds. While chatting with Vogue, Blake Lively revealed she is shutting down Preserve, her lifestyle website. It might be shocking to some that The Sisterhood of the Traveling Pants actress actually revealed publicly that she failed at her website, but the fact that Lively admitted to failure is actually really cool. I never thought I would have the bravery to actually do that, to take the site dark and to say, "You know what? I haven’t created something that is as true and impactful as I know it can and will be. And I’m not going to continue to chase my tail and continue to put a product out there that we, as a team, are not proud of." Well said. Society's been conditioned to see failure as a bad thing. Yes, sometimes it can be, but in many cases, it's OK to fail. Why else would the phrase, "If at first you don't succeed, try, try again" exist? Failure can be used as something to propel a person in the right direction and push them to become a stronger and even more successful individual. Plus, when someone declares, "Yeah, I failed and it didn't work out like I anticipated," that's beyond brave. Lively just became an even cooler person and more inspiring role model in my eyes. I’m going to take this hit, and the only way I can prove all the negative reactions wrong is to come back with a plan that will rock people. And I have that plan. And I’m so excited about it, and that’s what gave me the courage to do this, to say, "You know what, I’m going to give myself one more shot at this, and I really have to do it as well as I can do it this time." 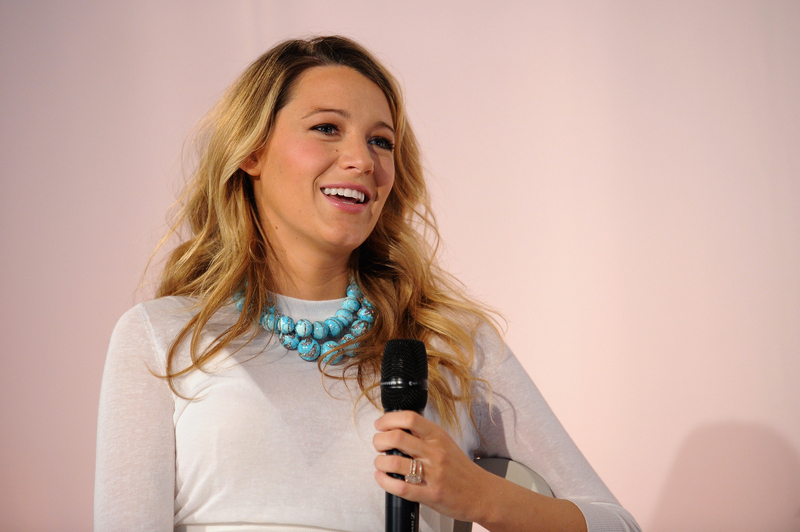 So, next time you fail at something, pull a Blake Lively and rock it like the badass you are.